The Batik Betawi Exhibition will be held at the Textile Museum, Jalan KS Tubun No. 2-4, West Jakarta in the forthcoming June.
" 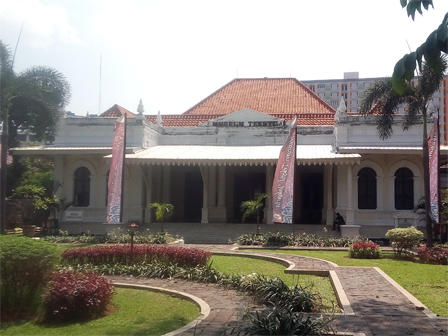 Herein, visitors can know and learn about Betawi culture through batik motif"
Jakarta Arts Museum Management Unit Head, Esti Utami stated the exhibition is held to enliven the 491st city anniversary. "It will run for three weeks," she expressed, Tuesday (2/13). Her side will exhibit various kinds of Betawi motifs, such as coastal, ondel-ondel up to the motifs developed in the modern era. "Herein, visitors can know and learn about Betawi culture through batik motif," she stated.